It's the Christmas season and Officer Justin Weaver has been forced into dressing up as “Cop Kringle” for the Ho-Ho-Ho Patrol. He'll ride his police car in the town's parade while dressed as Santa and also have an “elf” accompanying him, a reporter who is on an assignment for a local station. When he gets his first glimpse of the leggy redhead dressed as the elf, he decides it may not turn out to be as bad as he thought. But when she turns around, Justin discovers that the elf is Lilly Maddox, an old family friend that he now dislikes because she abandoned his family during their time of bereavement years ago. How is he going to stand being alone with someone he loathes? Lilly needs this plum assignment reporting on the Cop Kringle's good deeds or she faces losing her job. She is stunned that Justin isn't happy to see her, even after she explains what happened all those years ago. In fact, Lilly is still friends with Justin's sister and mother, so why can't he drop his animosity towards her? But no matter what, they are stuck working together for now, so both try to make it work. Lilly soon learns that Justin hates Christmas. It's up to her to change his mind about the holiday…and it leads to an attraction that neither anticipated. It's Christmastime, and everyone should be jolly…except this Santa Cop isn't. It's up to Lilly to help brighten Justin's holiday, even if he doesn't want that to happen. When she was growing up, she cherished her time with the Weaver family. But around the time that Justin's father died, her parents thought she was too involved with the Weavers and sent her away to boarding school. Justin didn't know this and thinks Lilly just walked away from them in their time of need. 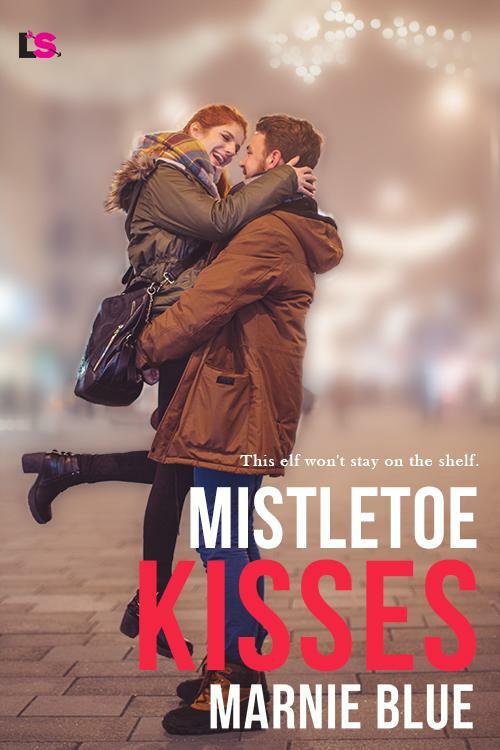 In MISTLETOE KISSES, it takes a while to sort out the misinformation between them, but soon they're past that and the story focuses on their slow-burning attraction for each other. MISTLETOE KISSES is a sweet romance just perfect for a holiday read. While there is plenty of tension between Justin and Lilly as they are forced to work together, they start to realize a mutual attraction has developed. With a little help from some mistletoe and friends, they're soon falling in love. Justin hates Christmas, and Lilly's determined to change his mind. Will she? He's not looking for any commitment but will he find it with her? A snuggle-worthy read, head to your favorite eBook store and grab a copy of MISTLETOE KISSES.